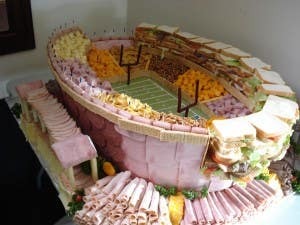 First of all, did you know that more food consumed during the Superbowl than any other day of the year? Just take a look at an average Superbowl food spread and you can clearly see that eating on this special Sunday is an exciting endeavor. Your second food fact is the average Superbowl watcher will consume 1200 calories eating snacks during this game day. Your third Superbowl fun fact is 14,500 tons of chips will be eaten on Superbowl Sunday. That is a whole lot of chips. Your fourth fun Superbowl fact is it is estimated that 90 million chicken wings will be consumed. Superbowl Sunday is one of the greatest days of the year so let’s lift up a beer and toast to the Superbowl. Don’t go yet, that reminds me about one other fun Superbowl fact. Many experts say that 51.7 million cases of beer will be sold on the week of Superbowl Sunday, now that is a lot of beer. In addition, Superbowl is known as the 8th biggest beer day of the year. Now, you have some talking points for the game. Enjoy. Need some ideas for foods to server at your 2013 super bowl party? 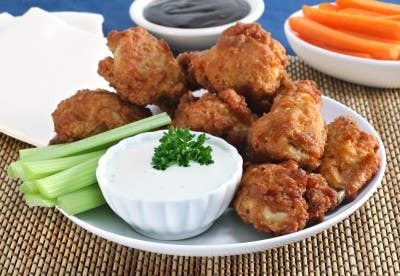 Check out my previous post, which showcases the top 10, most served foods during the super bowl.